Kelly toy has created a line of loveable buddies made from super soft marshmallow-like texture and polyester (and they’re easily washable). Are you ready to meet your new cuddly 12.5" friend Harriet the Owl? Harriet whips up amazing concoctions in her kitchen, especially for Valentine’s Day. She’s actually working on a special Valentine’s Day cookbook to share with friends, family and adoring fans. 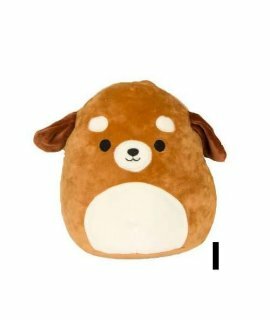 Squishmallow Plush Stuffed Clip-on Toy for Backpac..
Squishmallow 5 Inch Best Seller Series #1 Plush Su..
Kellytoy Squishmallow 8 Inch Sam The Dog Super Sof..